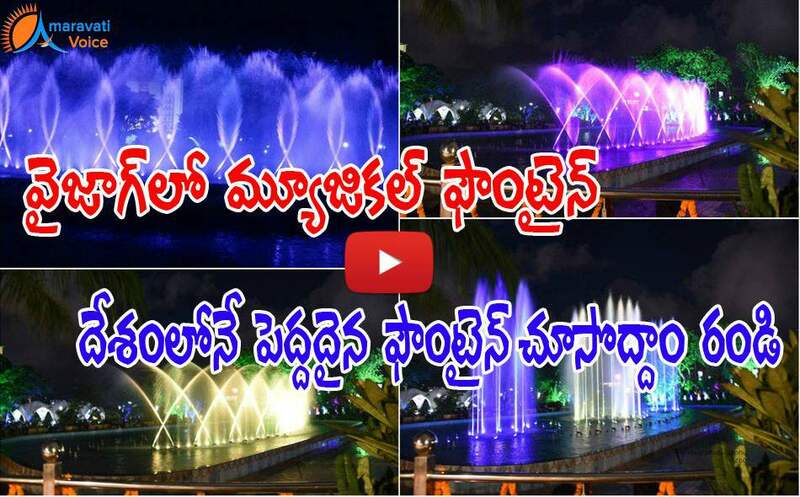 The Central Park which is recently inaugurated by chief minister in Vizag, has India’s tallest musical fountain. This is designed, developed and installed by Orient Fountains of China at a cost of Rs 4.5 crore. The fountain jets water to a height of 40 to 50 meters, with a pleasant music in the background. Oscillating vertically at 360 degrees, the fountain dances to the tune of digital music in different colours. This musical foundation is build in a area of 800 square meters. The fountain in all will showcase 64 events. The overall play time of this is around 45 minutes. The fountain beats the Gujarat Science City musical fountain, which goes up to a height of 30 meters only. Vuda is planning to organise four such shows in the first phase charging a modest price of Rs 25.